Hello! 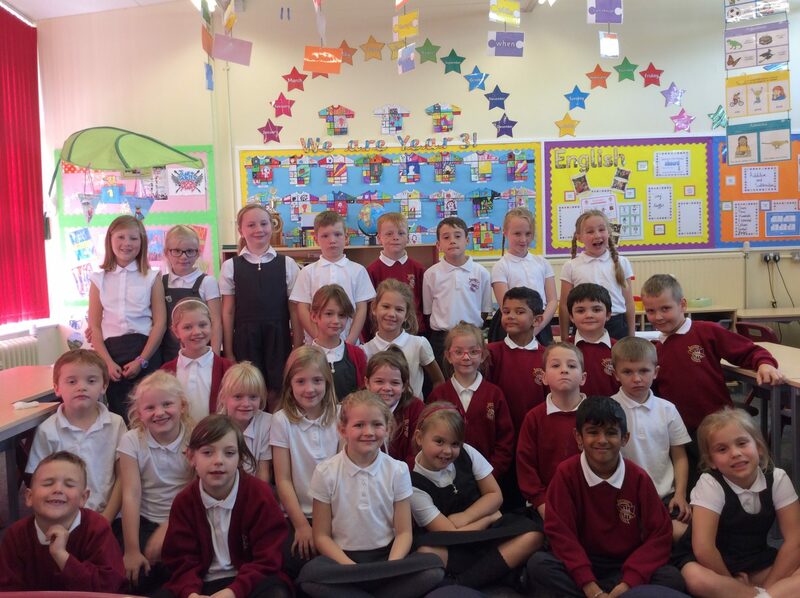 We are the fantastic, individual and amusing Year 3 class of Hillside. Our class teacher is Mr Mellor and our teaching assistant is Mrs Pope. We are hard-working and love to show our school values every day. The level of challenge has increased now we’re in year 3. We have to draw margins in our maths books and stick lots of things in ourselves. However, we are doing really well and getting great at DUMTUMS. We also sit at desks all the time now and we get our own trays! When we do the register, we like to talk in different languages. We have them on display in our classroom under the whiteboard. However, our favourite language to speak at the minute is French! We have been learning how to count and ask how people are. We also love to do mental maths and times tables with our very own octopus called Stewart. He helps us to become quicker alongside playing Times Table Rockstars. We’re also keen scientists and we are looking forward to learning about plants in science. We love practical science and hopefully we get to do lots of investigations in Year 3! Soon, we will be learning about the Mediterranean. But first, we have been doing art. We love colouring and art. We have been studying an artist called Sonia Delaunay. We have been reading poems and drawing pictures from them. We’ve got lots of other great topics to look forward to, such as The Ancient Greeks, Stoke-on-Trent, Extreme Earth and The Stone Age. Thank you for reading our information. We hope you liked reading about us. See you soon in Year 3!